The car is a good, fuel-efficient daily driver. Features are straightforward and functional, and reasonably discrete--not overly integrated into other vehicle systems. For example, I can replace the stereo head unit without affecting the functionality of the door alarms. Today, this is a huge benefit. The seats are upholstered with a durable cloth, and are comfortable for driving and riding for short to moderate distances. I have not driven more than 300 miles at a stretch in this vehicle, so I cannot comment on seat comfort on long trips--other than to say that, if you find yourself tired while driving, there is no comfortable position in the vehicle for catching a nap roadside or in a parking lot. Trunk space is plentiful for a car this size, and the back seat folds down to accommodate larger items. The car has experienced significant wear and tear over 12 years of use, and is (for the most part) still a reliable vehicle. There is a problem with the headlight switch where, if the headlight switch is left in the "on" position when the vehicle is turned off, the headlights will sometimes turn back on, resulting in battery drain. I am researching repair options for this issue. The pad atop the dashboard has a split in it near the center, and the padding on the top of the steering wheel is deteriorating (both understandable after 12 Alabama summers). I plan to repair the steering wheel with a rubber repair product, and add a steering wheel cover for added protection. Overall, I am very satisfied with the 2006 Elantra. 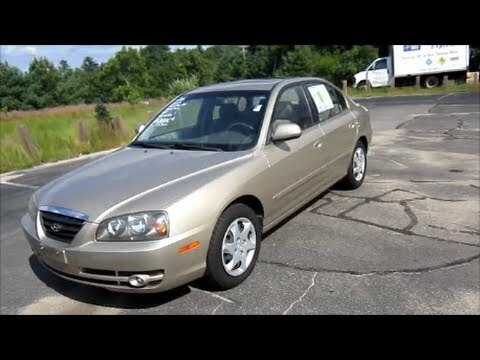 2006 Hyundai Elantra. Basic functions of a car. My 2006 Hyundai Elantra has been pretty reliable as far as a car that has had its maintenance kept up with. Any issues that I have had with my vehicle have all been expected, such as having to replace parts that are too old to hold up well. I have had to replace the timing belt, another one of the belts (not sure which one), my radiator, etc. Now, it needs a new catalytic converter, new spark plugs, and a basic tune-up done. I have never had any issues with my car that weren't expected and haven't had issues thinking my car was junk. It is comfort is fair as far as it is age is concerned. It is not high tech or anything fancy, but it is very comfortable for a being my first car. It has all the basics of a car with a CD player, radio, simple cruise control, but as far as advanced features, it does not hold up to the cars of today. It has a decent acceleration and the breaks work just fine after having been replaced. I am not a car expert, but it is done its job as a car just fine and I am happy with it as far as functionality is concerned. Despite Its outward appearance, which is dinged here and there both inside and out, the car will get you from A to B safely and cheaply. I've had this car for more than 10 years. I've found it to be reliable, fuel-efficient, peppy, and has a low cost of maintenance. Lately as it ages the cost if maintenance has gone up, but that's not surprising. What I dislike about it (other than the general aging process) is primarily the lack of features that are standard on newer cars of today and were not uncommon on cars contemporary with my Elantra -- things like keyless unlocking or radio controls on the steering wheel. Little things that are convenient but not essential.